From the 1970s, installation view (2012). English Star (1972), silkscreen print. Pyramid Calendar (1979), ink and watercolour on paper mounted on wooden base with colour pins. 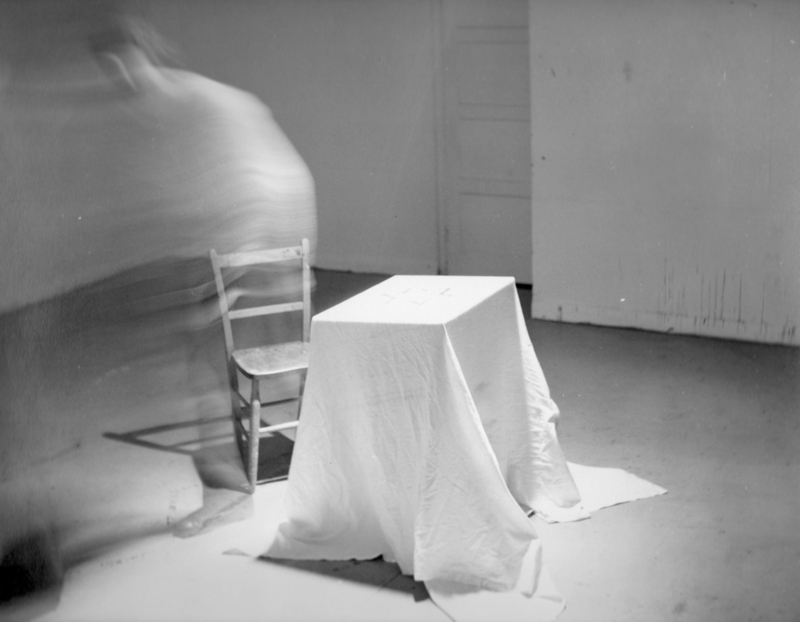 Empty Lecture and Other Stars (1970 - 71), photograph. 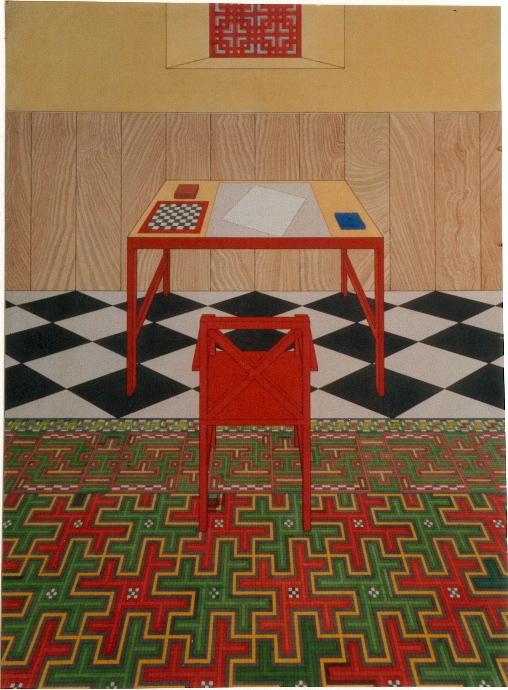 Five Identical Views (1977), ink and watercolour on paper. Structured as a selective retrospective of work made in the pre-digital 1970s, the exhibition gathers over sixty pieces by Graham Day, mapping his interests and chosen subject matter. Day's practice is concerned initially with concept, which determines appropriate techniques and materials. An eclectic mix of subjects including Geometry, Anthropology, Tantric iconometry and History are researched meticulously and provide a platform of infinite experimental possibilities. Born in London in 1946, Graham Day studied at Hornsey School of Art, Bath Academy of Art and the Slade School of Fine Art (UCL). He has been exhibiting in the UK and abroad since the early Seventies, and his work is part of prominent collections such as the British Museum, Victoria & Albert Museum, British Library, and the Bibliotheque Nationale in Paris. dalla Rosa would like to thank Rose Issa for the loan of work from her private collection.